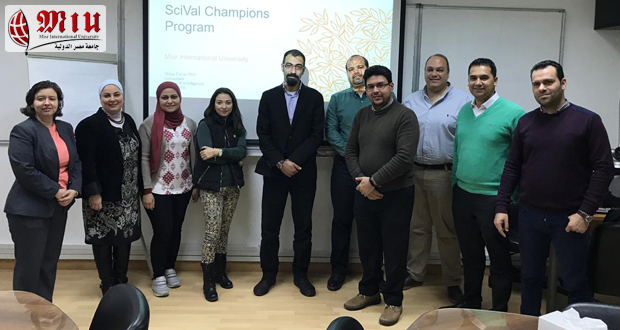 In cooperation with Egyptian Knowledge Bank, the University Community Service Committee organized a workshop on Sunday the 3th of April 2019 entitled “SciVal Champions Program Workshop”. 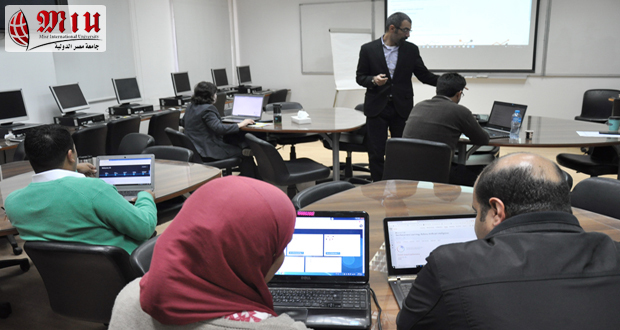 The workshop was introduced by Dr. Yehia Eissa, Customer Consultant, Research Intelligence ELSEVIER – Research Solutions Sales. 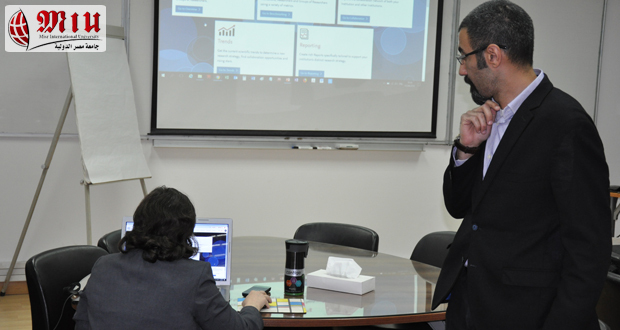 This workshop is the first of a series of workshops allowing the champions to start familiarizing with Scival to extract data that would be of value to the institute when making evidence-based decisions. 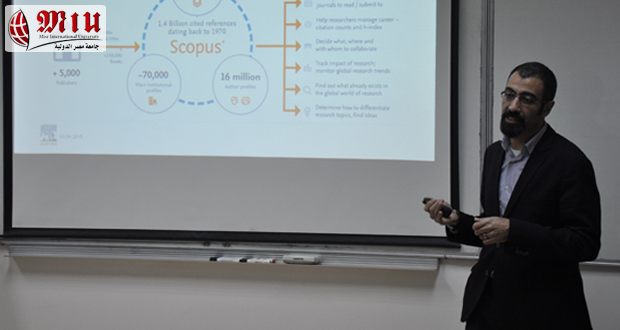 The workshop focused on research performance metrics, advanced training on SciVal, sharing global experience using analytics and assignments to produce reports on real cases relevant to MIU. 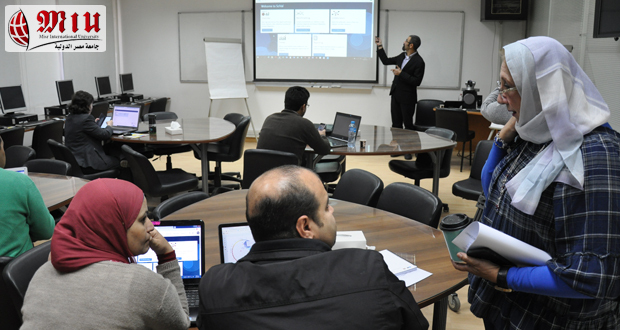 All ten members chosen to participate in the program attended the workshop. The instructor was rated excellent by 55.5% of the participants and very good by 44.5%.